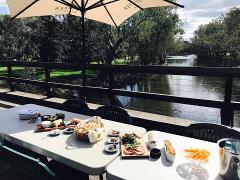 Gift Voucher for 2 (LUNCH INCLUDED) - A Rutherglen Full Day Winery Tour, Lunch, Cheese Plate, Pick Up and drop off. Valid for 12 months. A unique boutique winery tour experience for 2. LUNCH INCLUDED IN THIS PRICE, Cheese plate and chilled bottled water included. 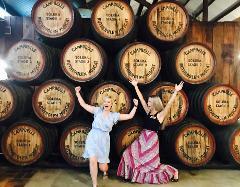 Full Day Rutherglen Winery Tour. (6 Hours, includes cheese plate and chilled bottled water) Lunch additional. Valid for 12 months. Pick up and drop of within 40 km Rutherglen.